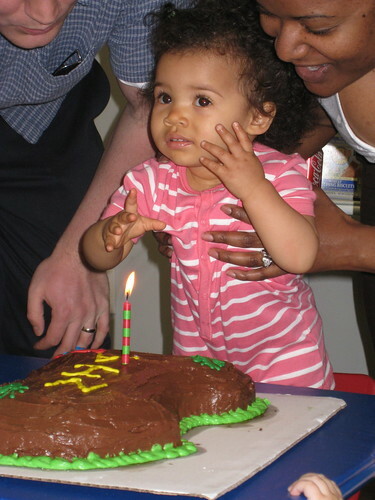 This past Saturday, we went to Nia’s first birthday party! We had a great time. 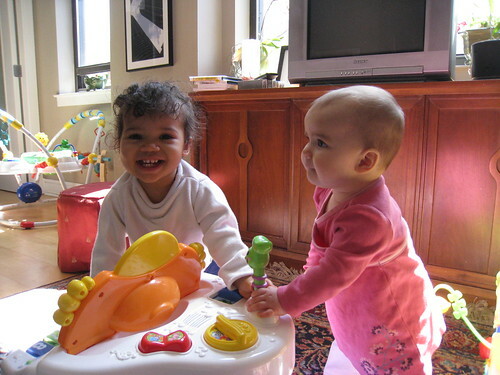 Nia is one of Lucy’s best friends, even though sometimes Nia scares Lucy. They saw each other three times last week. On Thursday, they got down and played the piano together. Nia was so excited that she would shriek a little. Lucy would have this strange look of horror on her face, yet desperately want to play with her. Lucy also realized that she really wanted to walk, just like Nia. 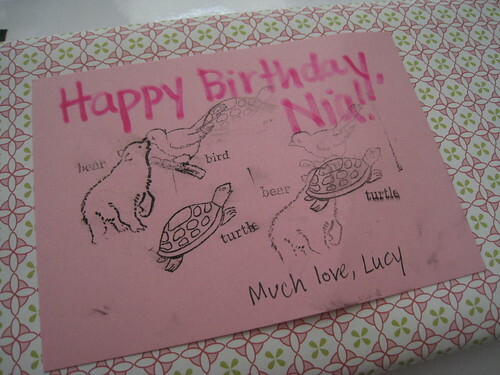 Lucy made her first mark and created a birthday card for Nia. When she made the first impression (with a little help from mom), she cackled. Things quickly deescalated from there. 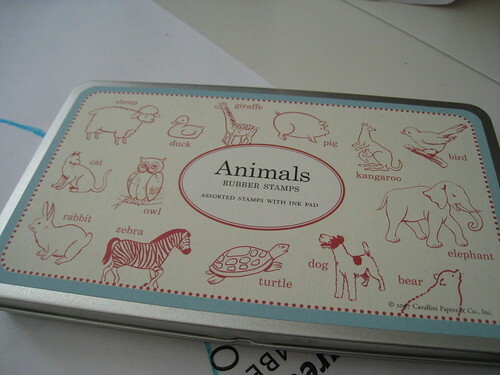 But we had a somewhat fun time using her stamps. Since then I have cleaned them with a wipe and Lucy uses them to teethe. 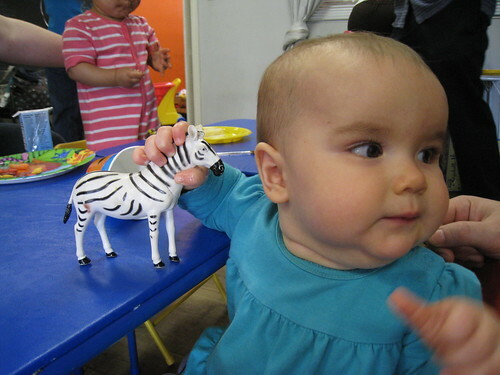 Lucy made a new friend at the birthday party… a plastic zebra. Here is a super cute video of Nia and Maya eating birthday cake. And Lucy telling everyone at the party goodbye. Happy Birthday, Nia! We had a great time!